How many statistics need to be quoted to persuade governments in power of the deeply damaging impact of corruption? Is it Mubarak's $1.2 billion? Is it the $1 trillion that flows across borders illicitly? Is it the 140,000 children's lives that are lost worldwide annually because citizens are deprived of medical care, food and clean water? How many people have to die for acts of grand corruption to be deemed a crime against humanity? These numbers are atrocious, yet perpetrators of corruption, particularly grand corruption, continue to run free. 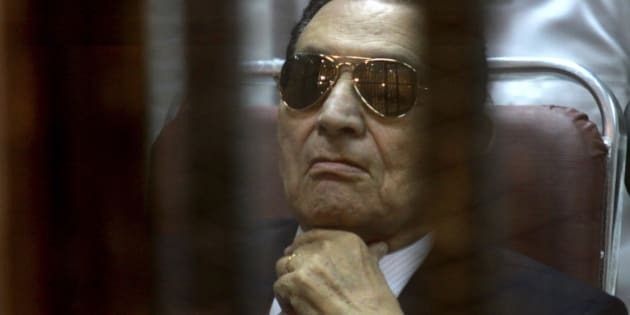 People like Mubarak are robbing the public coffers yet fail to face any consequences. They are political leaders entrusted to work for the people actually leaching from them to increase their own status and wealth. Grand corruption truly is the global tyrant of our times. The good news is that there are people and organizations that are taking notice and steps to strengthen the fight against corruption. The international community is currently laying out Sustainable Development Goals (SDG), for 2015 and beyond. Civil society groups have banded together to push for inclusion of a standalone goal on governance. In fact, in 2014 the Open Working Group on SDGs called for a goal on effective, accountable and inclusive institutions. Citizens of the world have voiced their concerns too. In response to the United Nations MyWorld survey, they declared that "honest and responsive governments" is a key priority that needs to be addressed in the SDGs. Even more remarkably, governments are listening and for the first time considering incorporating a goal on governance, which includes tackling corruption and bribery. However, while these are very promising steps there is still much more that needs to be done to stop grand corruption. At a global level, it is paramount that an international mechanism be created to prosecute political despots. This global instrument would be responsible to apprehend, prosecute, judge and sentence those who have committed crimes of grand corruption. At a national level, we need to continue to examine legislation on universal jurisdiction through the lens of grand corruption. Universal jurisdiction is a rule that allows courts in any country to bring to trial those responsible for crimes against humanity and war crimes. Under the rule, the nationality of the accused, or his or her victims, or the place where the crimes were committed, do not determine where and when a trial can take place. For crimes against humanity, any court in any country can consider the allegations. (International Council on Human Rights. Hard Cases: Bringing Human Rights Violators to Justice Abroad. A guide to universal jurisdiction. 1999) One of the most notable cases to date is that of Senator Augusto Pinochet, the former Chilean President. In 1999, he was tried in Spain for his involvement in the killings, disappearance and torture of his political opponents. This is when a lesser-known provision of international law -- the principle of universal jurisdiction -- came to light. At an individual level, let us citizens continue to push these conversations to the top of the global governance agenda. We need to ensure that our voices are also part of the conversation. We can do this by advocating for the prosecution of perpetrators of grand corruption to parliamentary representatives and working with civil society organizations to advance this cause. The time has come to prevent, prosecute and paralyze those that have committed the grandest acts of corruption. The time has come to call on our governments to create an international mechanism that would prosecute those that have committed the most serious crimes of corruption. The time has come to put corrupt political leaders in prison to face the consequences of their crime rather than continue to usurp power. This blog post was written in collaboration with Ann Marie Paquet, Communications Manager at the Global Organizations of Parliamentarians Against Corruption (GOPAC).